This InFO informs aircraft operators of the potential for pitot-static system malfunctions after an aircraft is repainted. 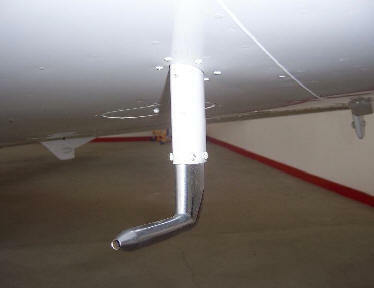 Recently, a certified flight instructor applicant arrived for his evaluation with an aircraft with a painted pitot tube. As part of the applicant’s evaluation, he was asked to explain the purpose of the preflight and airworthiness requirements of the aircraft. When questioned about the painted pitot tube, the applicant was unaware of any potential for malfunction due to the paint application. Manufacturers typically deliver aircraft with unpainted pitot tube (s) with the expectation that the pitot tube (s) will remain as delivered. Painter’s and/or maintenance personnel may not be aware of the affects of inappropriately applied paint to critical orifices and/or the performance of the system. Painting these instruments may possibly cause unreliable instrument readings or other hazards. Persons performing maintenance or preventive maintenance should be aware that the application of paint to surfaces received unpainted from the manufacturer, may be an alteration to the aircraft type design, requiring further evaluation. Persons engaged in repainting of aircraft and/or return to service of aircraft after painting should follow the manufacturers’ recommendation concerning painting of pitot tubes and/or any other component delivered from the manufacturer unpainted. If uncertain, the manufacturer should be contacted for information about a specific aircraft or component. Questions and comments on this InFO should be addressed to the Aircraft Maintenance Division, General Aviation Branch, AFS-350, telephone (202) 385-6435.